MTV VMAs: How Many People Watched? No longer the event it was when Eminem ruled the charts, the MTV Video Music Awards tallied 5.68 million viewers across 10 different networks on Sunday for a show dominated by Kendrick Lamar’s coronation and the debut of Taylor Swift’s new video. That’s down from the 6.5 million people who watched the VMAs in 2016, and the 9.8 million who watched the year before, the Nielsen company said. In 2002, back when the show was seen only on MTV, the event drew 11.9 million viewers. Audiences for awards shows in general are down this year, and MTV had the misfortune of competing with the season finale of HBO’s “Game of Thrones.” But it’s undeniable that MTV’s once-outrageous awards show is no longer the fodder for water cooler conversation that it once was. MTV was encouraged by one finding in the ratings: it was able to beat “Game of Thrones” among teenagers. Otherwise, “Game of Thrones” was dominant. 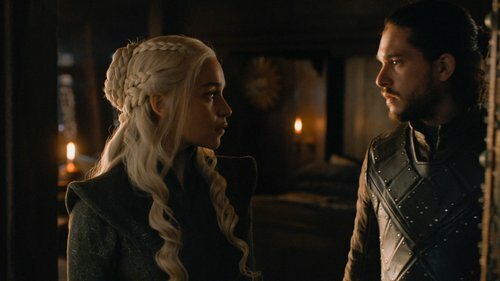 The 12.07 million people who saw the show Sunday night was a record for the series, even if it likely represented only a fraction of its viewership. If you add in people who stream the show online or watch on a time-delayed basis, the average episode of “GOT” this season has been watched by 30.6 million people, according to HBO. NBC won the week in prime time, averaging 5.5 million viewers. CBS had 4.2 million, ABC had 3.1 million, Fox had 2.4 million, Telemundo had 1.5 million, Univision had 1.4 million, ION Television had 1.3 million and the CW had 890,000. Fox News Channel was the week’s most popular cable channel, averaging 2.4 million viewers in prime time. MSNBC had 1.8 million, USA had 1.62 million, HGTV had 1.4 million and CNN had 1.37 million. ABC’s “World News Tonight” topped the evening newscasts with an average of 7.9 million viewers. NBC’s “Nightly News” was second with 7.7 million and the “CBS Evening News” had 5.8 million. For the week of Aug. 21-27, the top 10 shows, their networks and viewerships: “America’s Got Talent” (Tuesday), NBC, 12.59 million; “Game of Thrones,” HBO, 12.07 million; “America’s Got Talent” (Wednesday), NBC, 10.84 million; NFL Exhibition Football: San Francisco at Minnesota, NBC, 7.32 million; “60 Minutes,” CBS, 7.16 million; “Big Brother” (Sunday), CBS, 6.28 million; “NFL Pre-Game Show,” NBC, 6.25 million. “The Big Bang Theory,” CBS, 6.14 million; “Big Brother” (Wednesday), CBS, 6.11 million; “Big Brother” (Thursday), CBS, 6.03 million.